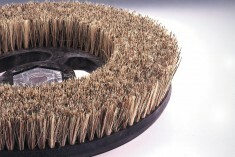 Look through the range of floor polishing brushes available here at Brushtec. 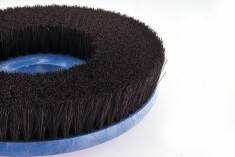 With various options, utilising a mixture of natural and artificial fibres, we are confident that we can provide the ideal floor polishing disk brush for any machine or application. If you want something other than our union fibre, bassine fibre or silk-buff polishing brushes, get in touch with us today on 0191 229 1666 to speak to an expert and we’ll see if we can produce a polishing brush to suit your individual needs. 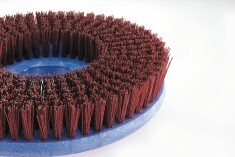 You may be interested in one of our other uniquely designed disk brushes, such as our studded rubber floor disk brushes or our light cleaning disk brushes.